The Audience Agency is a not for profit organisation set up to work with and serve the cultural sector with a team of experienced arts and culture specialists who provide a wide variety of consultancy and research services to organisations across the UK. The Audience Agency’s latest offering comes in the form of Audience Finder, a tool which allows organisations to collect and analyse audience data in a standardised format while building a clearer picture of audiences locally and nationally. 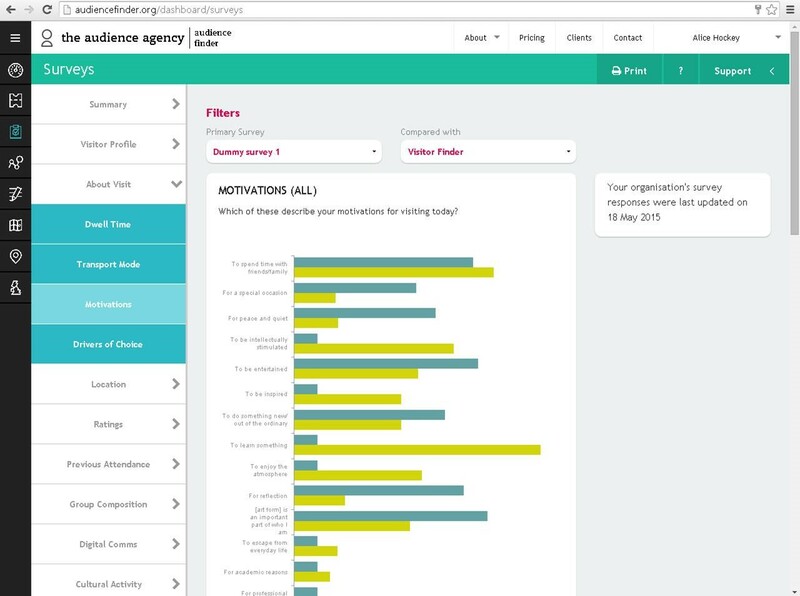 Available to all cultural organisations free of charge (with optional extra paid add ons) Audience Finder provides national audience insight for all sizes of organisations enabling everyone to benefit from a national perspective when writing their strategic and tactical plans. Most importantly Audience Finder helps organisations understand not only who their audiences are, but who they could be and through the cultural segmentation tool, Audience Spectrum, all organisations can analyse the inclination of people’s attendance in their catchment areas. Audience Finder is the most powerful audience data and development tool and its free services provide more insight into audience behaviour than has ever been previously available. For organisations interested in finding out more, they can simply sign into the dashboard and start to input their visitor information and rest assured that all submitted data is anonymised for reporting. 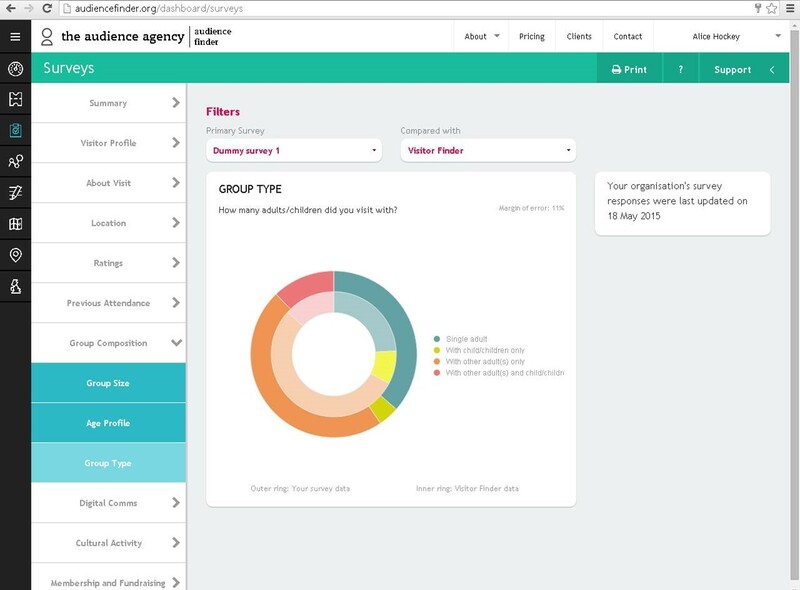 The information that Audience Finder collects will help build a national audience picture, sharing this national picture and each organisations place in it. The Audience Agency will be running a number of National Insight Events later this year with the North West event taking place in Manchester on 10 September after which the Audience Agency’s regional team will continue to provide ongoing support for all users. 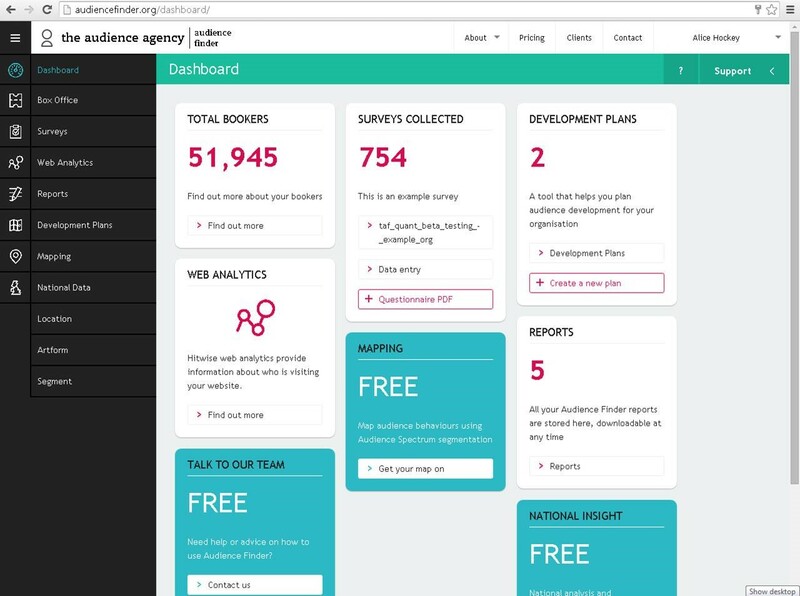 Developed and managed by The Audience Agency for and with the cultural sector, and funded by the National Lottery through Arts Council England, Audience Finder takes the complications surrounding data and segmentation away and ensures all organisations get the help they need for the audiences they need to deliver. The Prime Minister today announced the government’s new Five Point Plan (PDF, 8.26MB, 9 pages) to boost tourism right across the UK – spreading the benefits of one of our fastest growing sectors beyond the capital, helping to create jobs and rebalance the economy. A new inter-ministerial group will be formed to co-ordinate and align action across government to ensure that we have the right infrastructure in place to make it easy for visitors to discover the best of what this country has to offer. You can read more about the plan by clicking here. The North West Federation of Museums (NWFED) is really pleased announce that we will be working closely with Museum Development North West (MDNW) to assist in the their Museum Development programme for 2015-18. As part of MDNW’s wide ranging programme of support for the sector, the NWFED has been asked to take the lead with one part of their Museum Development Plan focusing on the Arts Council’s Goal 4 – leadership and the museum workforce’s diversity and skills. Through the development and delivery of a ‘Support Our Skills (SOS)’ programme for volunteers and staff in museums, we will be able to provide tailor made support for the huge number of volunteers in museums across the North West, whilst opening up the programme to NWFED members and other museum staff. This year the NWFED will carrying out research to find out what volunteers working in our sector would like a training and development programme to involve and what they would find beneficial to their career development. We will be speaking to volunteers across the region through an online survey, various focus groups, site visits and more to find out what the sector needs. The new programme will then be launched in April 2016 and will run for two years. At this stage there are no concrete ideas of what the programme will include, as it will be shaped by the conversations we have with people across the region. If you are a volunteer, or would like volunteers in your museum to be involved and have a say in the development of this programme, then please do get in touch with the NWFED. We will be sharing details of the different ways that you can provide ideas and feedback shortly via our website and newsletter. This is a very exciting time for NWFED and we look forward to working with MDNW over the coming years.